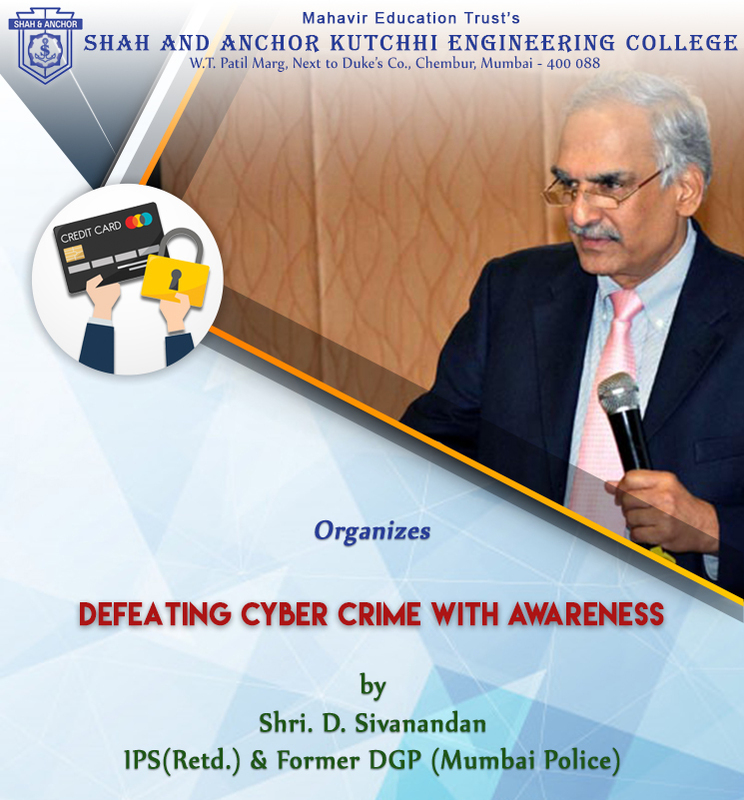 Description Shah and Anchor Kutchhi Engineering College is conducting a session on “Defeating CyberCrime with Awareness” by Shri D. Sivanandan IPS(Retd. ), Former DGP, Mumbai Police. As technology advances and more people rely on the Internet we tend to ignore our own daily habits which pose threats to the security of our data and society. The session will enlighten all of us to healthify our Digital Life. With the advancements in technological infrastructure at SAKEC, also comes the responsibility of utilization of these resources and be accountable for each digital activity. Keeping this view in mind SAKEC launches the “IT & Internet Usage Policy” for SAKEC students and faculty.